The story of the Tulip Winery and its founder belongs in Business School textbooks as a prototype for "Cconscious capitalism" - not only has Tulip grown meteorically since it was founded 13 years ago and its products consistently receive accolades for their quality, the winery also places enormous emphasis on social responsibility. 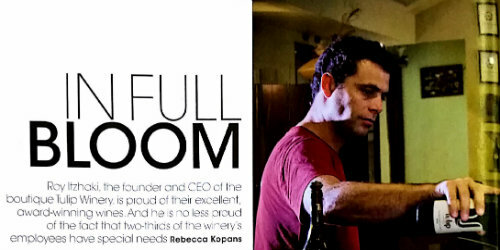 "When I decided to found the winery, I had three goals" explains CEO Roy Itzhaki. "The first goal was to make the highest quality wine possible, using the best grapes, equipment and know-how.